LG is getting a good share of the Android smartphone market with its new devices like the LG G2 and as all Android devices are equipped to prevent App installation from unknown sources other than Google Play Store, LG devices have the same restrictions on their devices which prevents users to install Apps or Games from Unknown Sources. There are many Unknown Sources which are giving access to Apps present in App store like AndAppStore, SlideMe, Handango, and GetJar with even App developers like GameLoft. 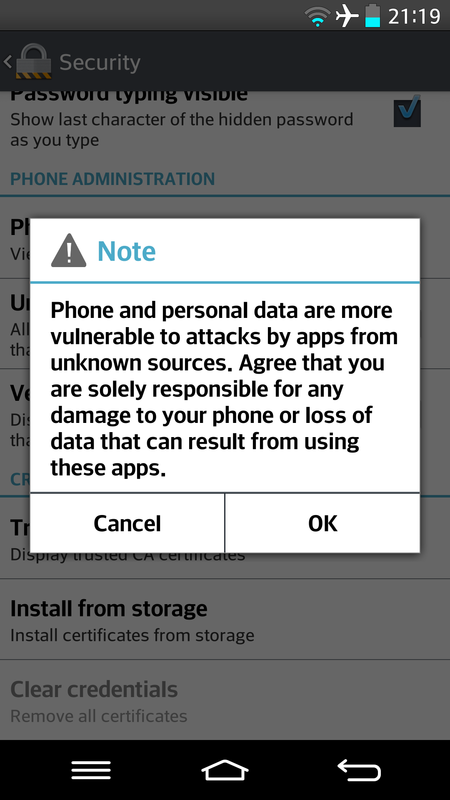 Apart from these sources which do their App installation themselves in case of smaller developers who offer Android Package (APK) file which should be downloaded and installed manually and for your android device to accept these files the option of “Allow Installation of Apps other than Play Store” should be ticked in the Security options of your Android device. After you have followed the above mentioned process you can now install apps on your LG android device using the APK files available on the internet even paid or apps which are removed from app Store like the Flappy Bird which can be installed freely using the APK files. 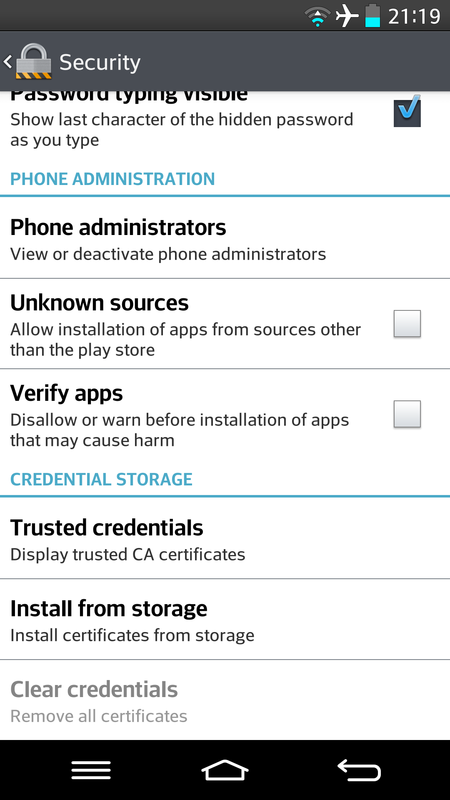 In case you do not know how to install the APK files on your LG Android phone let me explain the procedure in short: Download the APK files on your Computer, copy the APK file on your SD card from your Computer , download App Installer Application from android play Store on your device, in the application you can see the aPK files which you have earlier copied on your SD card, click on the Application file and the Installation will start. 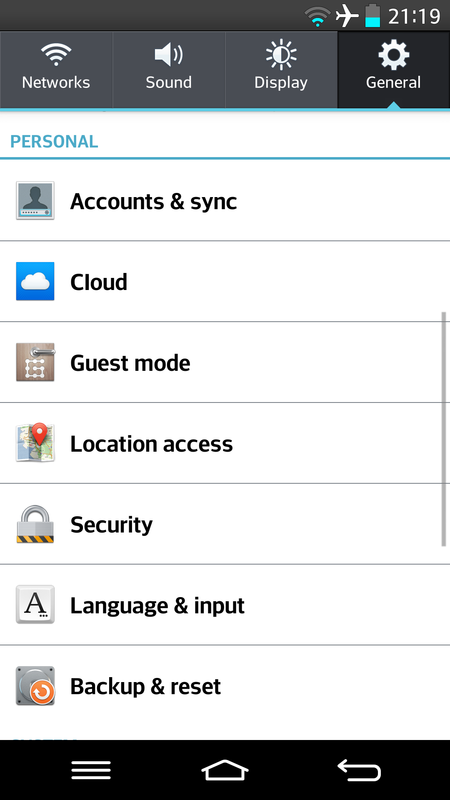 Remember that you have to first follow the above procedure of Selecting the Unknown source option in settings to be able to help install the APK file as an Application.